16 photos by Les Tindall. Diana, Gilfach Ddu, Llanberis Lake Rly, 6 October 1974. Kerr Stuart 0-4-0T 1158 / 1917. 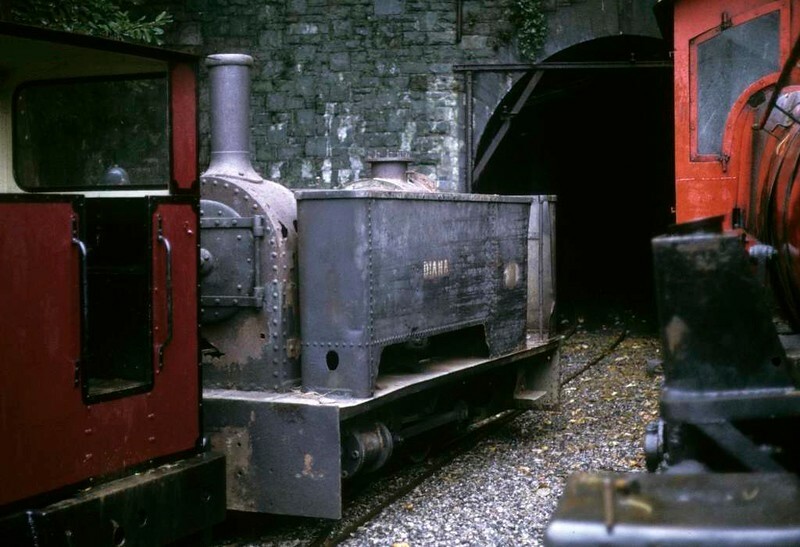 It had just been hauled out of the tunnel where it was being stored with other locos awaiting repair. In 2017 it was based at the Beamish open air museum. Photo by Les Tindall.